Mandatory minimums on drug crimes isn't racist but Congress can still do better - I Think, Therefore I Rant! Jeff Sessions’s policy won’t lock up harmless stoners, but it will help dismantle drug-trafficking networks. While I personally believe that drug use should be decriminalized and managed by the ATF (probably with a slight rename), I also believe that laws should be enforced as written. If Congress chooses to continue to create a black market for drugs, then the law enforcement professionals are duty-bound to enforce those laws. I truly believe that crime would drop if drugs were licensed with the production and selling of those drugs was monitored, managed, and TAXED. Calling Mr. Sessions a racist because he has chosen to follow the laws that are written by Congress is absolute foolishness and probably partisanship. Here are a few salient facts that I have copied from various points in a recent WSJ article. I encourage my reader to click through to the linked article. Attorney General Jeff Sessions is being tarred as a racist—again—for bringing the law fully to bear on illegal drug traffickers. Mr. Sessions has instructed federal prosecutors to disclose in court the actual amount of drugs that trafficking defendants possessed at the time of arrest. That disclosure will trigger the mandatory penalties set by Congress for large-scale dealers. This order order revokes a 2013 directive by former Attorney General Eric Holder telling prosecutors to conceal the size of traffickers’ drug stashes so as to avoid imposing the statutory penalties. For a mandatory federal sentence to come into play, a dealer has to be caught with an amount of drugs that clearly reveals large-scale trafficking. To trigger a mandatory 10-year sentence, a heroin trafficker, for example, must be caught with a kilogram of the drug, a quantity that represents 10,000 doses and currently has a street value of at least $100,000. No one who gets caught smoking a joint is going to be implicated by Mr. Sessions’s order. The number of federal convictions for simple possession is negligible: only 198 in 2015. Most of those were plea-bargained down from trafficking charges, usually of marijuana. Last year the median weight of marijuana possessed by those convicted of simple possession was 48.5 pounds. 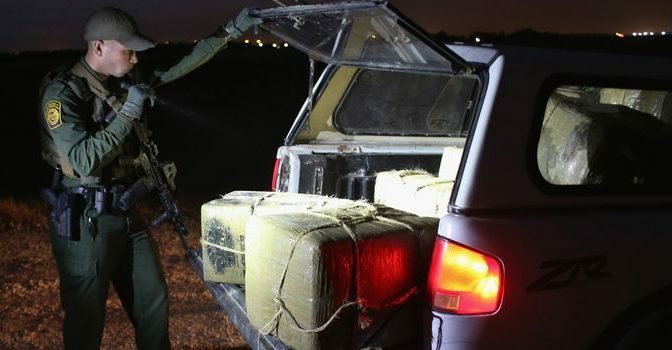 To trigger a mandatory penalty for marijuana trafficking, a dealer would need to be caught with more than 2,200 pounds of cannabis. Finally, the idea that Mr. Sessions’s memo will exacerbate racial disparities in prison does not stand up to the facts. Drug enforcement is not the cause of those disparities. In 2014, 37.4% of state and federal prisoners were black. If all drug prisoners—who are virtually all dealers—had been released, the share of black prisoners would have dropped to 37.2%. What truly causes racial disparities in incarceration is racial disparities in violent crime.